The CM who believes that transport is the main source that develops the state economically and industrially has planned many ways to reduce the traffic issues and provide a better way for everyone to get rid of the word traffic. 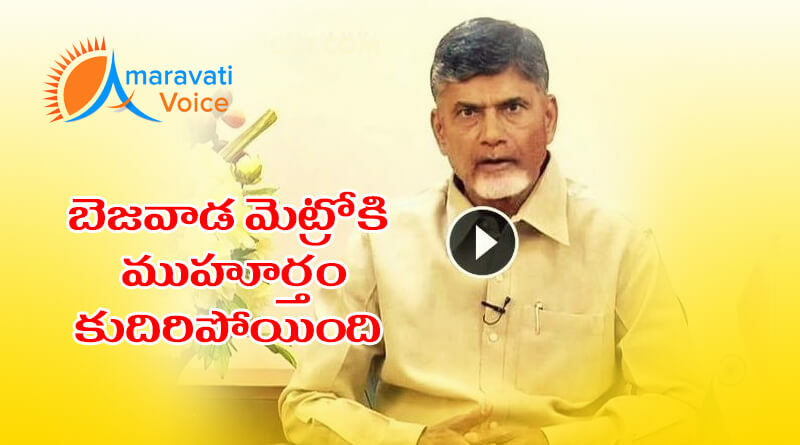 As a part of his plan CBN, previously planned to launch metro in the cities of Vijayawada and Vizag. CM event checked out the possible way and facilities provided to passengers by metro. He himself travelled with passengers of Delhi metro and enquired them of the metro and even took suggestions from them. Recently, Metro officials have checked out the possible ways of constructing metro by conducting siol tests around the city and provoked the results. As per these CM even sent out the results to Central Govt. and got an assurance for the economical help in form of funds. A Japanese company have come forward to deal up the metro project of Capital city. The latest sources says that CBN may lay foundation for this metro in this summer as the other season may cause trouble for the work as they need to dig huge for laying pillars. So, People of Bezawada can experience the thrill of metro soon.